If you&apos;re thinking about trying, sous vide style cooking chances are you&apos;re going to have a few questions, we&apos;ve compiled a list of the most common questions and answered them for you. We&apos;ve also added a few links to more in depth articles that will give you more information. What are the advantages of Sous Vide cooking? Sous vide cooking allows you to cook your food to a very precise temperature or doneness without overcooking. For example you can achieve the exact same medium rare steak every time, without needing to carefully monitor the cooking process or worry about over cooking it and making it tough. For more information see How to Cook Sous Vide. 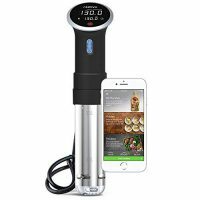 What Sous Vide Equipment do I need? You will need a Sous Vide Immersion Cooker, a pot or other cooking vessel, water, and Ziploc style bag you can remove all of the air from. You don't need a Vacuum Sealer, but it does make things easier if you do a lot of sous vide cooking. You can see other accessories on our Sous Vide Equipment page. How Powerful a Sous Vide Machine Do I Need? Most consumer level sous vide machines run between 800 - 1200 watts. A higher wattage machine will achieve its temperature faster, but you will also have to be more concerned about evaporation. Any of the machines from our Sous Vide Reviews section will be powerful enough for you. How Much Should I Spend on A Sous Vide? We reviewed 33 different Sous Vide Precision Cookers from 14 different manufacturers. The consumer level prices ranged from $55.99 to $231.30 with an average price of approximately $100.00 . The highest rated model was the Anova Bluetooth Sous Vide for 129.00 . Sous Vide models with higher price points will give you more features like Bluetooth of WiFi Connectivity. 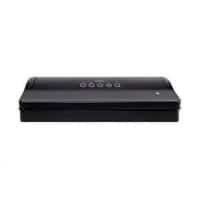 Our highest rated consumer model is the Anova Bluetooth Sous Vide for 129.00 . Our second highest rated model is the Wancle Sous Vide SVC001 for 87.99 . Our highest rated Commercial Grade Sous Vide is the VacMaster Sous Vide SV1 for $328.79 . See all of our Sous Vide Categories Commercial Grade Sous Vide, Best Sous Vide, Top Rated Sous Vide, Best Value Sous Vide, Budget Priced Sous Vide, and Sous Vide Under $100. What's Best Sous Vide Under $100? Our top rated sous vide under $100 is the Wancle Sous Vide SVC001 for $89.99 . You can see a complete listing of all models at this price on our Sous Vide Under $100 page. Best Sous Vide Consumer Reports? 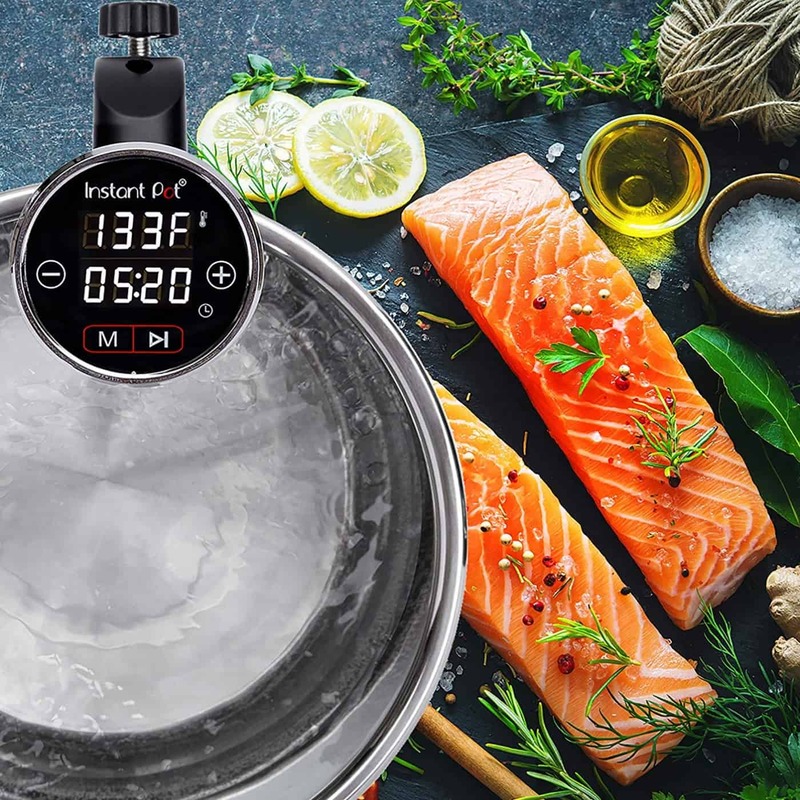 The highest rated Consumer Reports Sous Vide models were the Anova Bluetooth Sous Vide for $129.00 and the ChefSteps Joule Sous Vide for $179.00 . What Sous Vide Features Do I Need? You want a Sous Vide Precision Cooker with at least 800 Watts of Power. You want a large easy to read temperature display, and controls that aren't complicated to use. An adjustable clamp is more flexible than an alligator style clamp. Bluetooth of WiFi Connectivity is nice to have but not everyone need it. You can read more in our Sous Vide Buying Guide. Can I Reuse Sous Vide Water? The answer is both yes and no. If you&apos;re going to use, the sous vide for 2-3 days in a row yes you can reuse the water. You should always perform a visual inspection before reusing the water a second time. If the water is clear and not discolored or cloudy it should be fine. If the water has any strange odors, you&apos;ll want to discard it. If you&apos;re going to try and keep the water for more than a few days you&apos;re going to need a cover. Keeping standing water around for any length of time can be problematic as you are creating an incubator for bacteria. It's not a good idea to use water that has been sitting at room temperature for more than 2-3 days. See our Sous Vide Food Safety Guide for more information. Do I need to be concerned about bacteria in my sous vide? As long as you practice good food safety practices there&apos;s no need to be concerned about bacteria. Always cook your food at the proper temperature and for a long enough period of time, our Sous Vide Temperature Chart has more information as does our Sous Vide Food Safety Guide. Do I Need A Vacuum Sealer To Use a Sous Vide Machine? A Vacuum Sealer is nice to have if you&apos;re going to do a lot of sous vide cooking, but it&apos;s not required. You can use the displacement method shown below to achieve results that are nearly as good.